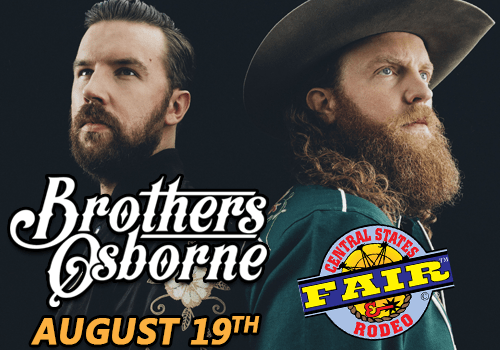 Brothers Osborne Coming to the CSF! Two-time AMC Duo of the Year winners Brothers Osborne will kick off the Black Hills Energy Concert Series on Sunday, August 19 at the Central States Fair. In addition to consecutive Duo of the Year winnings, Brothers Osborne also took home Video of the Year for “Aint My Fault” at this year’s AMC awards. The country group just released their second album “Port Saint Joe” last week. 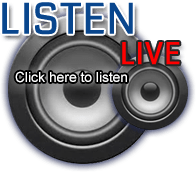 It follows their debut album “Pawn Shop”, that awarded them four chart toppers including “Rum”, “Aint My Fault”, “21 Summer” and “Stay A Little Longer”, their highest charting single to date. Today’s announcement rounds off the Black Hills Energy Concert Series with Brothers Osborne, Dwight Yoakam and Midland. The ten-day fair will also include three nights of concerts, Johnson Machine Demolition Derby, Supercross Racing, PRCA Rodeo and Carnival Americana. The 73rd Annual Central States Fair will be Aug., 17-26. Tickets and fair passes will go on-sale July 1 and can be purchased at the Central States Fair office or centralstatesfair.com.